This is a particularly exciting time of year to visit Norfolk for birdwatching. Many species are passing through on migration, on their way to their breeding grounds further north. Our summer birds are returning and activity levels are high, with lots of singing and display, which means that they can be at their most visible. In the spring, many of the birds we see are also at their brightest which enhances the overall spectacle. With such a variety of birds to see, these tours appeal to all interest levels and abilities. As usual, a wide variety of additional dates are available, both for guided group tours and private customised birding days. Group tours will operate on most weekends through the spring, and additional single weekday tours may also be available, subject to availability and demand. The first migrants start to arrive in the middle of March, but by April the pace picks up noticeably. 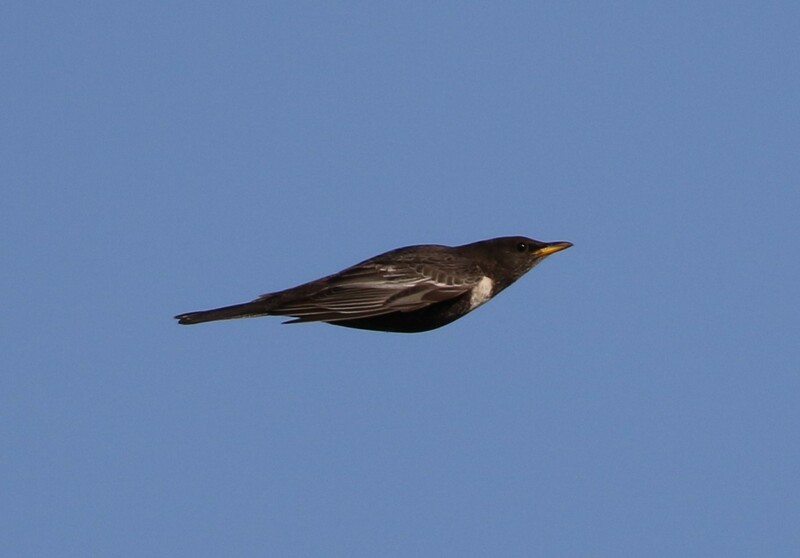 Ring Ouzels normally appear around the turn of the month, along with Yellow Wagtails, then Whinchats, Redstarts and all the summer warblers. By the second half of April, migration is in full swing and in the right conditions, numbers of migrants moving along the coast can be spectacular. Nightingales arrive later in April and we will go out specifically to listen for them singing their beautiful song at the end of the month and into early May. Migration continues apace into May and this is the month when anything can turn up, given the right weather conditions. Even into early June, the right conditions can bring falls of migrants. Amongst the Redstarts and flycatchers heading for Scandinavia there could be Icterine or Marsh Warblers, Red-backed Shrikes, possibly even a Bluethroat or perhaps something even rarer. On previous Bird ID Company tours, participants have seen such exciting birds as Hoopoe, Kentish Plover, at least 40 Black Terns, Citrine Wagtail, Temminck's Stint, Collared Pratincole, Dotterel, Montagu's Harrier and White-tailed Eagle. The main focus of the Spring Tours is on sites along the North Norfolk coast – this region is world renowned for the variety of species which can be seen at this time of year. We will go looking for spring migrants and vagrants, as well as taking the time to see the more interesting resident species and watch the activities of the commoner birds which are present. The Five Day Tours run from Saturday morning through to late Wednesday afternoon with accommodation from the Friday evening. This includes 5 nights B&B accommodation, all transport during tour days to and from your base, guiding and packed lunches. Day Tours £50 per person per day includes all guiding and transport on the day from a convenient meeting point.